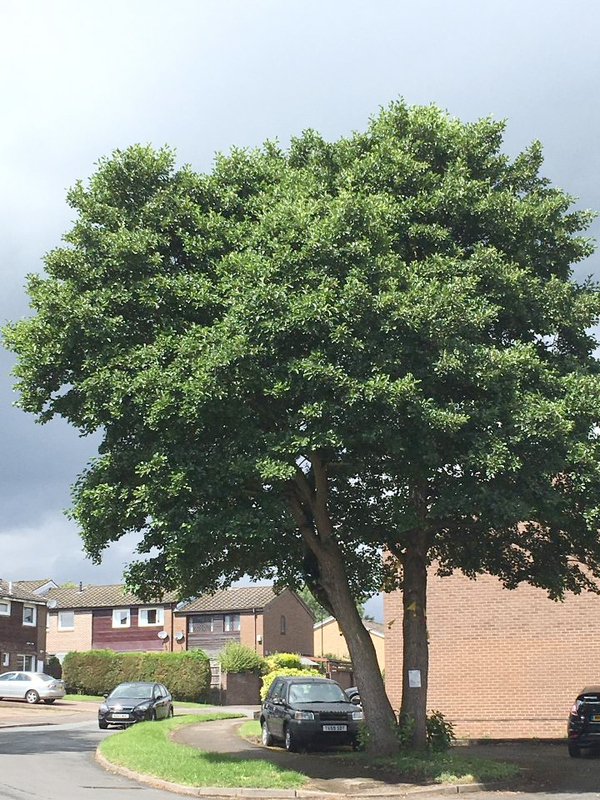 “This alder tree sits on the curve of a quiet road of social housing on the edge of Sheffield. Behind the street is an ancient wood and a brook with many alders, which love damp ground. This ‘twin stemmed’ alder may be their cousin and predate the post war prefabs that were there before the present houses were built in the 1970s. Or perhaps it was planted by an enlightened local authority to bring beauty to the tenants’ lives. Today’s local authority want to fell it although many residents love this alder and display window posters in support of it. 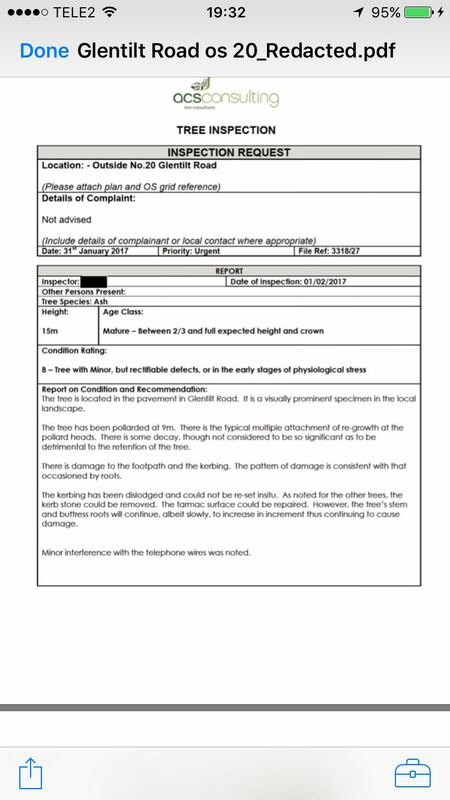 The Council categorised the tree as ‘dangerous’ and it was listed for felling, citing decay and a weak union between the two trunks. A site visit by Amey almost convinced us that there was a problem with the tree, though we asked if it could be kept and monitored, such was its beauty and the local affection for it. “They’re coming for this tomorrow (30/09/17) – it’s not in a particularly fancy part of Nether Edge, but it’s one of only two left on this not very green bit of S7, and we love it. 88% of residents voted to save it but it’s down to be felled – mainly because the Tarmac machine would never get under it probably. Common ash, Glentilt Road, S7. 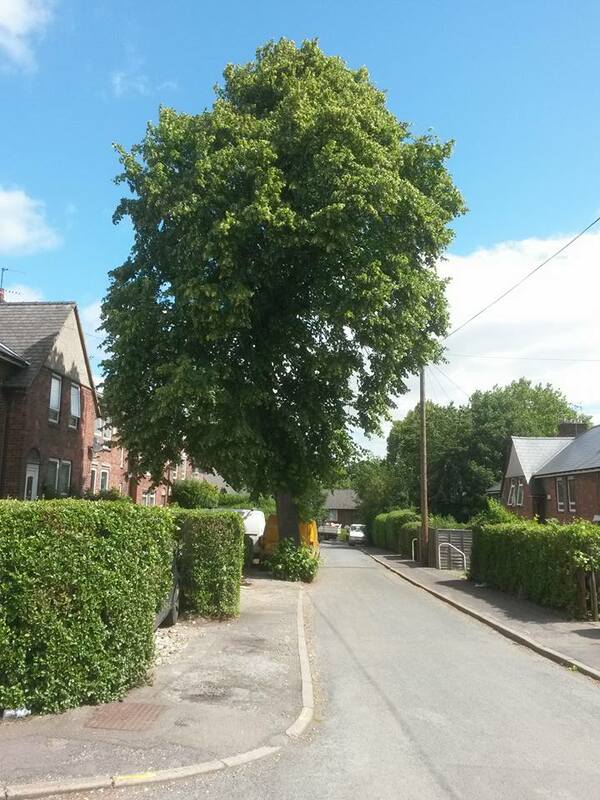 “I live on Glentilt Road, where there is a beautiful mature ash tree outside no. 20. The tree is important to me because in June 2015 I had a premature baby, he was 10 weeks early and after 7 weeks in hospital I took him home but he was still quite poorly and I spent a lot of time at home with him, sat in my living room, nursing and holding him to keep him settled. I would find it very comforting to look out of the window and watch the birds and squirrels coming and going, I missed spending time outside but with a premature baby you need to keep them inside as much as possible. Watching the nature from my window allowed me to stay connected with the outdoors that I love. 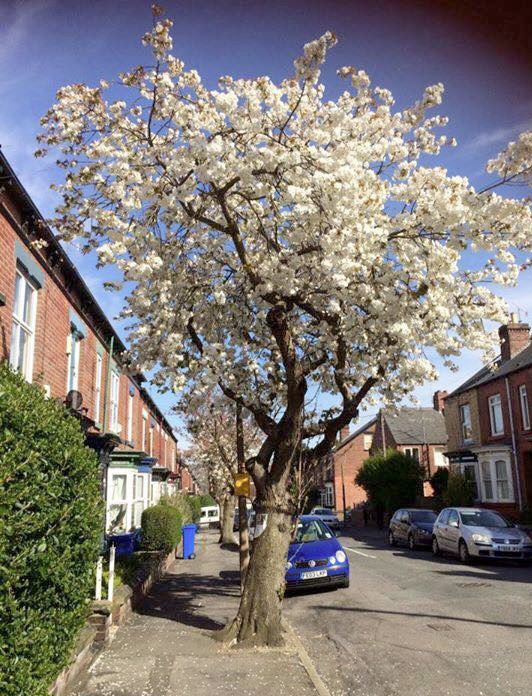 My baby is now 2 years old and his older brother is nearly 4, they share my love for nature and have been upset to see the trees cut down on our road, this is why I am campaigning to save our tree and others like it across the city.” – Rachel Booth. Read the Independent Tree Panel report for this tree. 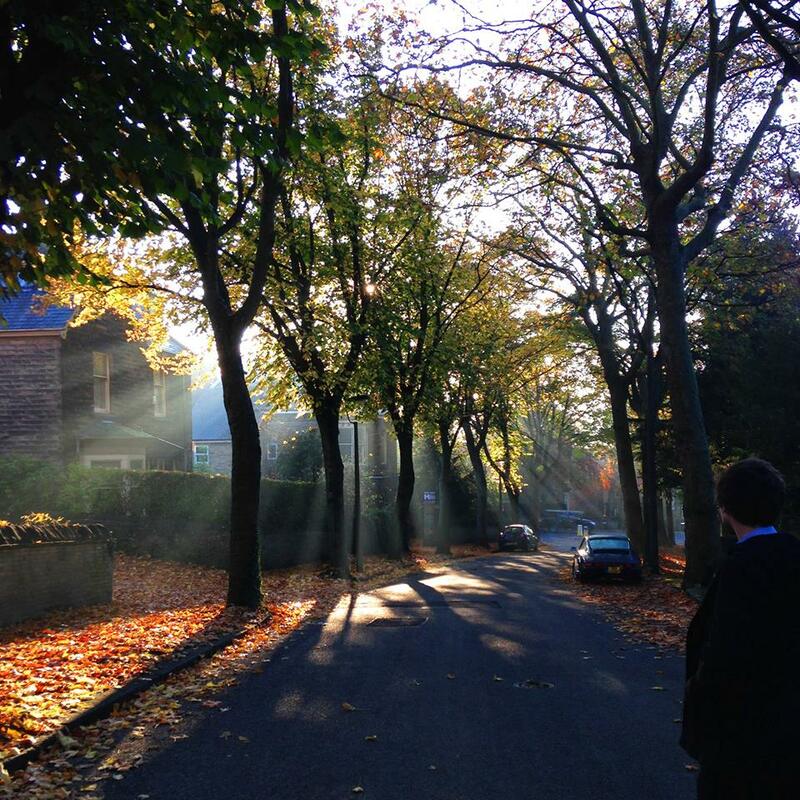 “I wanted to share this pic of the bottom of Thornsett rd with you; I took it on a crisp November morning in 2015 when my partner and I had just moved to the area and we were walking to work about 8am. Norway maple, Hollythorpe Rise, S8. “This was a mature Norway maple, about 80 years old, which could have given us its benefits for another 200 years. Its replacement will be an Erman’s birch, which will eventually grow to less than half the height and width of the maple.” – Celia Pinnington. 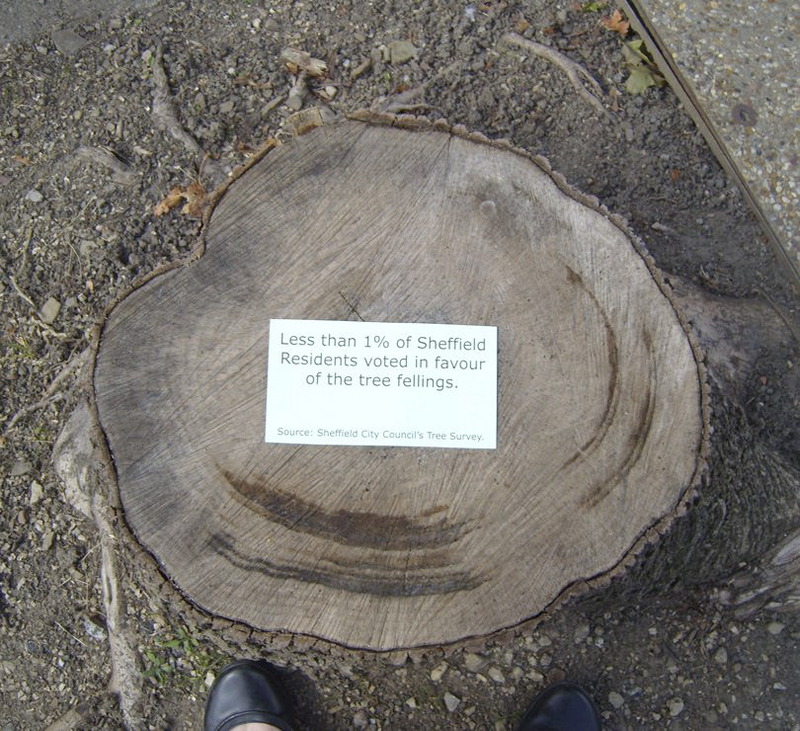 Celia added the notice, which reads “Less than 1% of Sheffield residents voted for this tree felling”, a figure taken from the Council’s own data.